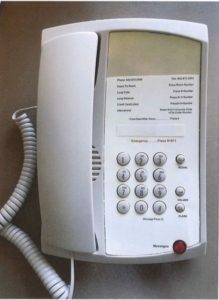 TelPlus Hospitality brings the industry a cost effective replacement for traditional hotel PBX’s. No up front cost and No capital expense. Use existing room phones and wiring. Includes wake up calls & message waiting indications. Free calling with reduced line cost. Front desk and staff have state-of -the-art phones with impressive features and functionality. There is a good chance that there will be NO phones in your rooms in 4+ years. Why make a large investment in a traditional PBX? Keep your existing phones & use the same wiring….